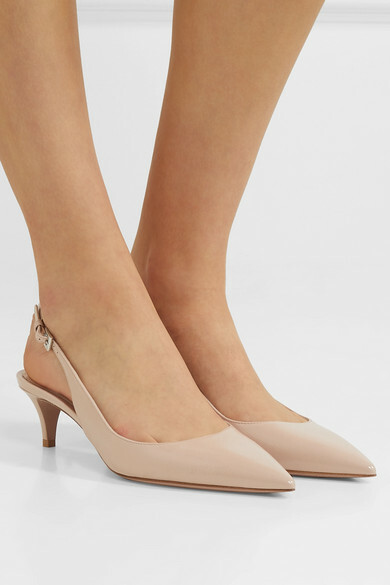 Prada's pumps are a pale color called 'Powder Pink' that's so fresh, pretty and easy to wear. 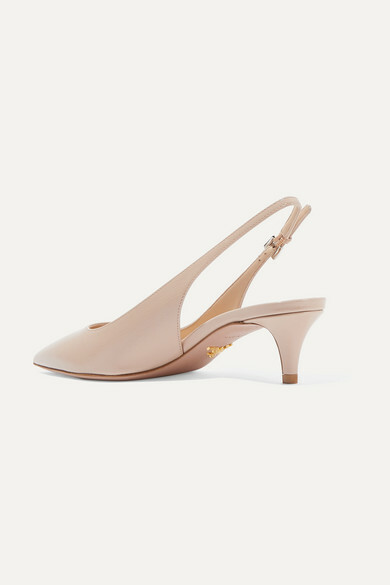 Made in Italy from glossed textured-leather, this pair rests on low, comfortable kitten heels and has sleek pointed toes. 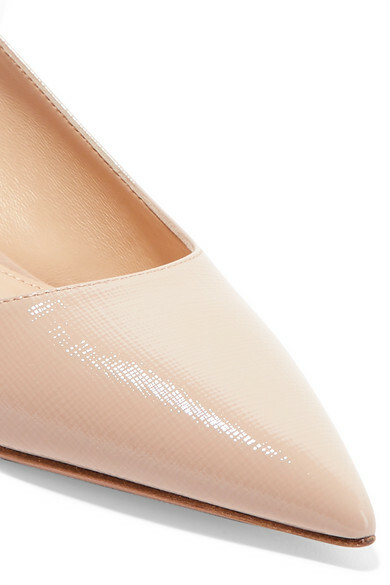 Style them with cropped suit pants or bare legs and mini hemlines. Shown here with: Prada Blouse, Prada Skirt, Prada Shoulder bag.